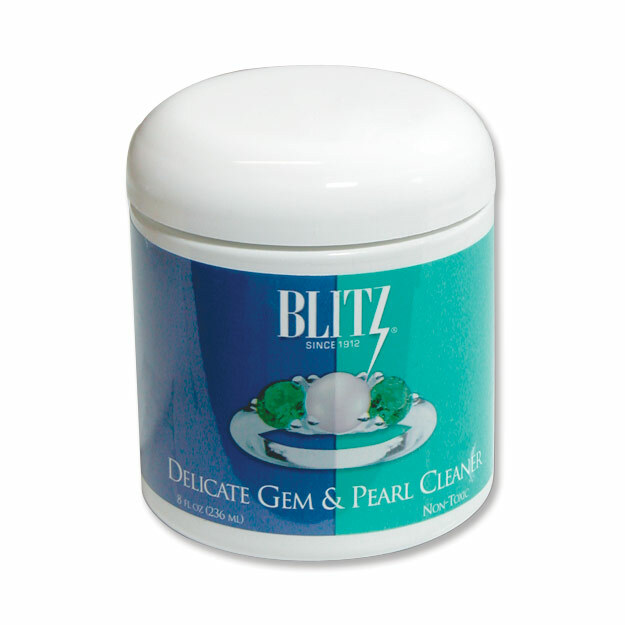 Blitz Silver Jewelry Cleaner is a non-toxic solution designed to remove tarnish from silver jewelry in seconds. 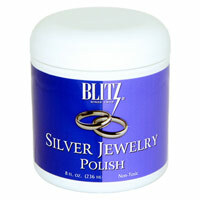 Simply dip your jewelry piece into the solution, rinse with water, and your jewelry will look like new! 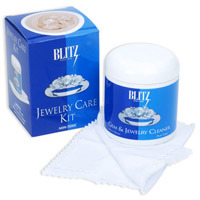 Silver Care Cleaner is specially packaged in a wide mouth jar to easily accommodate bangle bracelets. 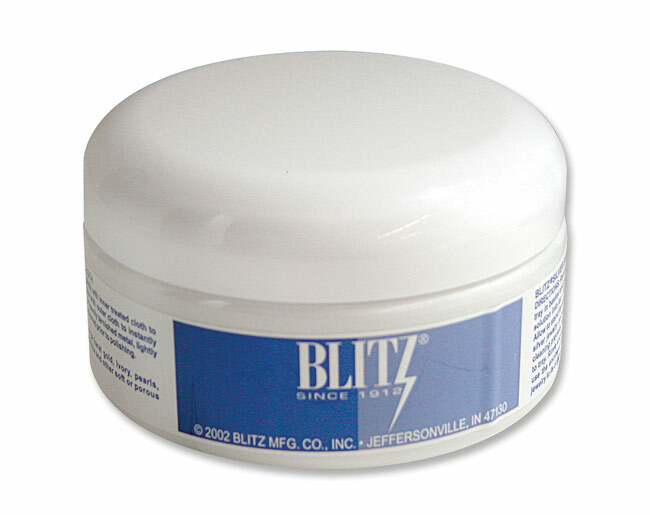 Each jar includes instructions, a basket, and three metal trays, plus Jewelry Cleaner concentrate, which, when mixed with water, makes 8 fluid ounces of solution.